Make a beautiful enhancement to and add a valuable investment in your home with high-quality luxury stone-coated steel roofing. Achieve the high-end appearance and legendary performance of luxury stone-coated steel roof with help from OnPoint Roofing, Houston, Texas. We are the experts in a range of high-performance roofing system options, including stone-coated steel roofing, which is metal roofing sheets or pieces with an attractive stone chip layer embedded in a strongly bonded coating. The styles of the roof can mimic other conventional roofing types with the advantage of being a more luxurious roof with better durability, more overall protection and lower maintenance. A wide variety of design, style and color options. Increasing the real estate value of your home. Maximizing energy efficiency and reducing utility costs. Higher weather and fire resistance. OnPoint Roofing, established in 2015, is experienced in installing, repairing and maintaining stone-coated roofing in the Greater Houston Metropolitan Area and San Antonio, Corpus Christi and Rockport, Texas. We are proud to be an Accredited Business with Better Business Bureau with an A rating. Selecting a skilled and experienced installer for luxury stone-coated steel roofing is paramount to achieving a perfect finished product. Let us show you how stone-coated steel roofing look better and last longer than more conventional roofing systems. Luxury stone-coated steel roofing is extremely durable so overall repair are generally needed less frequently. But when an extreme storm or falling trees or debris damage this type of roof, we are available to make high-quality repairs, returning the roof to the way it looked when it was initially installed. Maintenance of luxury stone-coated steel roofing can be minimal. Convenient maintenance visits can be arranged to inspect, clean and fix any areas that need to be touched up or replaced. We are experts with any installation, repair or maintenance with the product and can restore problem areas to look like new again. 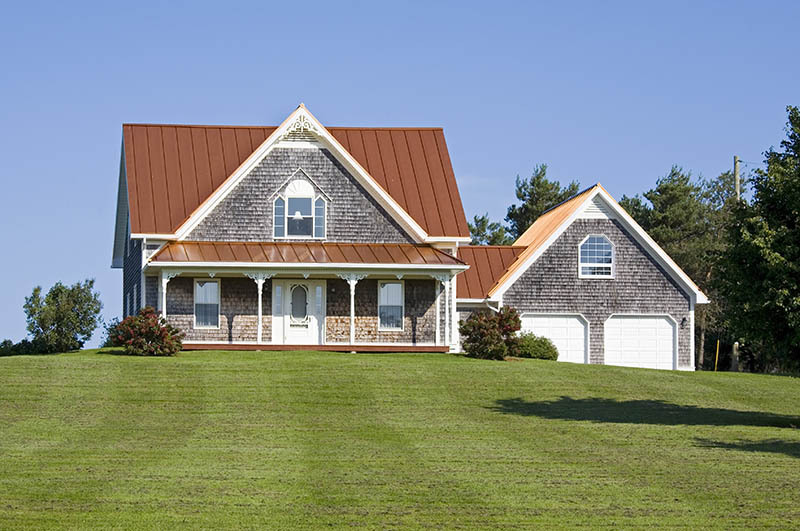 Find out how luxurious stone-coated steel roofing may be ideal for your home. Call OnPoint Roofing, Houston, today for a free consultation.